He was my constant companion from my early teens through my twenties. I came of age with Leonard. His poetry will be with me forever. 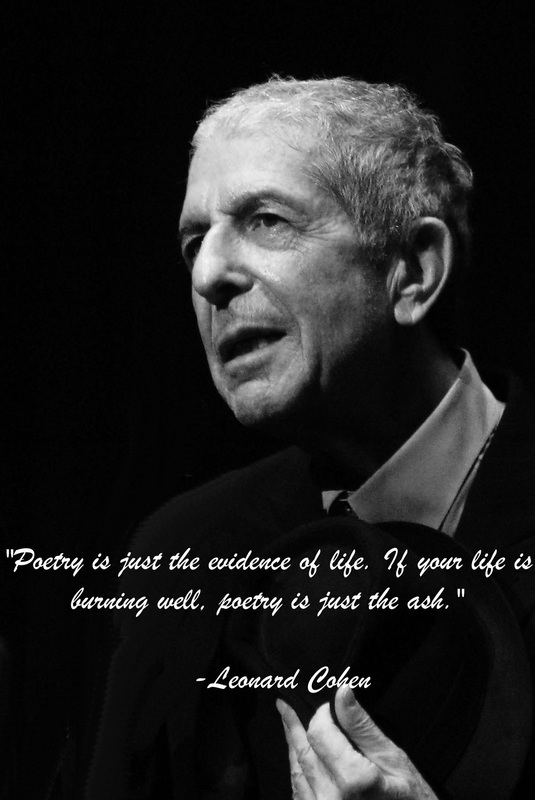 This entry was posted in Thoughts and tagged death, leonard cohen, poet, you want it darker. Bookmark the permalink. Your love of Leonard Cohen – his poetry and his music – made him a presence and a part of my life… I am so grateful.